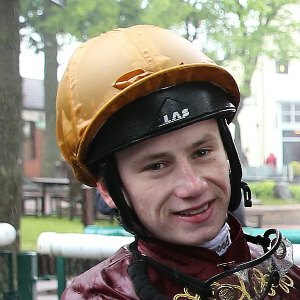 Oisin Murphy has established himself as a rising star in the sport and, aged 23, enjoyed a spectacular time in 2018 when he enjoyed no fewer than five Group 1 triumphs in the Champions Series. He guided Roaring Lion to superb victories in the Coral-Eclipse, Juddmonte International and QIPCO-sponsored Queen Elizabeth II Stakes, plus won the Qatar Sussex Stakes, aboard Lightning Spear, and 32Red Sprint Cup, on The Tin Man. The Eclipse was his first Group 1 triumph in Britain after a series of near-misses at the highest level, including when third on Roaring Lion in the Investec Derby the previous month. After his Sandown triumph, achieved by a neck from Saxon Warrior, he said: “It’s a relief. I’m pleased for my family. My mum and dad will be proud as it has taken me six years [to win a Group 1 race in Britain]. This is at the top [of my achievements]. This is what I wanted to be achieving. “I was on the best horse in the race and I just had to get it right and not get there too soon. John [Gosden] always asks me how I want to ride him and he is always happy with that. That gives me confidence before you start. Murphy gained his first Champions Series win in 2014 aboard Hot Streak in the Betfred Temple Stakes at Haydock Park, when he made virtually all the running and held off the late challenge of Pearl Secret by half a length. His finest moments have been in the colours of Qatar Racing, with Murphy having succeeded Andrea Atzeni as their No.1 jockey in 2016. He only began riding in 2013, as an 18-year-old, when apprenticed to Andrew Balding, but instantly made a great impact, riding four winners on Scottish racing’s Ayr Gold Cup day in September, including in the feature race. He spent the 2013/2014 winter in Australia, riding mainly for Danny O’Brien and with a total of 13 winners, gaining huge plaudits. Another graduate of the renowned Irish pony racing circuit and nephew of three-time Cheltenham Gold Cup winning rider Jim Culloty, Murphy was, as expected, crowned champion apprentice in 2014 when he rode 91 winners throughout the year. He is an ambassador for the QIPCO British Champions Series and regularly contributes blogs to the website.